I don’t think I ever created a hero who had no issues, who couldn’t be called anti-hero, and who didn’t do a bad thing when the circumstances called for them. Ah, good ol’ anti-heroes. Can’t live with ‘em, can’t live without ‘em! 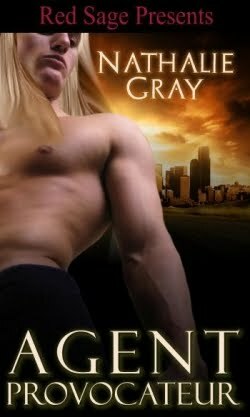 Nathalie Gray definitely delivers on the anti-heroes (one of my favorites is Troy from her science fiction romance AGENT PROVOCATEUR). Also, if you leave a comment at her post, you’ll be entered for a chance to win a copy of the MAMMOTH BOOK OF PARANORMAL ROMANCE 2 The contest runs until November 16, 2010.